Dr. Steinbach provides the most advanced teeth whitening treatments for his Brooklyn, NY, patients so they can get the bright, white smile they want without the hassles or side effects of over-the-counter bleaching products. 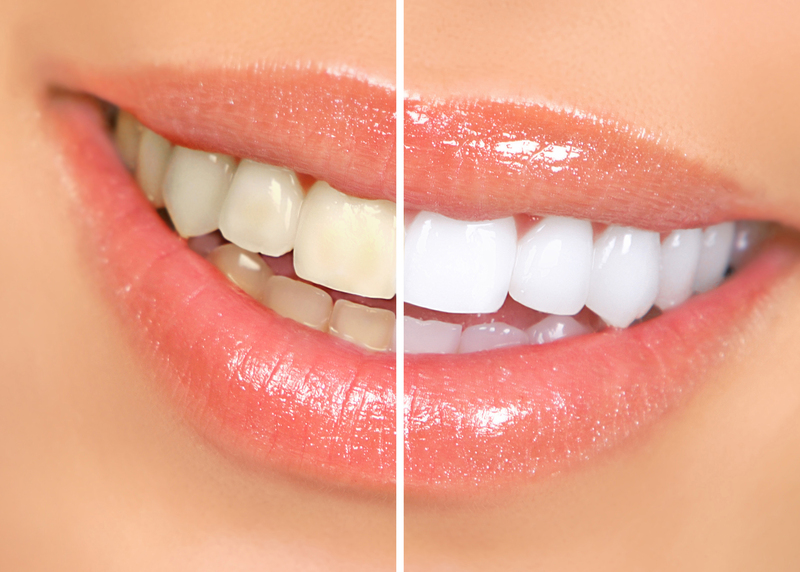 In-office teeth whitening uses the safest, most advanced techniques and products to remove stains and whiten and brighten teeth without causing damage to the tooth itself. Can I get the same results from drugstore whitening products? No, over-the-counter products are not nearly as effective as in-office whitening procedures, and they can also cause side effects like extreme tooth sensitivity or pain in areas where decay or infection have been undetected. Will in-office whitening procedures cause my teeth to become sensitive? Prior to your whitening treatment, Dr. Steinbach will examine your teeth and gums and look for signs of decay, gum disease or infection that should be treated prior to your whitening procedure. Tooth sensitivity often occurs as a result of one or more of these conditions being present. By correcting these issues first, you can get white, bright teeth with far less chance of any temporary sensitivity issues. Will tooth whitening cause my teeth to become damaged or weak over time? No, today's whitening products are designed to be effective while still being absolutely safe for healthy teeth. What if I have crowns? Can my teeth still be whitened? Yes; Dr. Steinbach will evaluate your crowns before and after whitening to ensure the bonding agents remain unaffected and to determine if the crown or veneer material will react the same way as your natural teeth or if a variation in color may result. What if I have staining but I don't want to have my teeth bleached? Then you may be interested in veneers, thin layers of material that can be applied over the surfaces of teeth to hide discoloration and other defects. Dr. Steinbach has significant experience in applying veneers, and he can help you decide which is the better option for your needs.